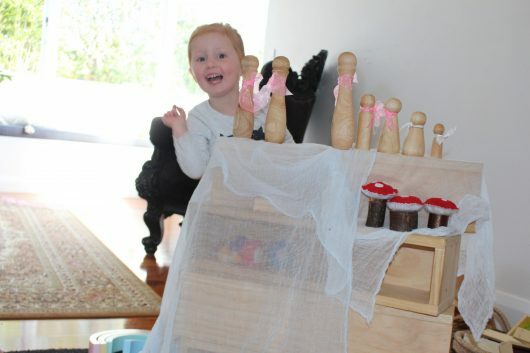 At Step Ahead we have a real appreciation for loose parts and the amazing, unique and creative ways in which they allow children to play with them. “Loose Parts” is a term coined by Architect, Simon Nicholson. 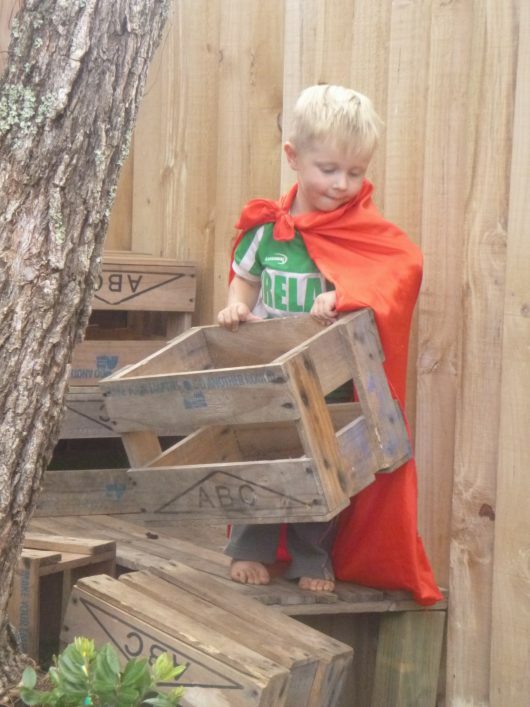 He believed that we all are creative and that loose parts in an environment will empower our creativity. Loose Parts can be natural or synthetic. They are materials that can be moved, carried, combined, redesigned, lined-up and taken apart and put back together in a multiple of ways. Loose parts can be used alone or combined with other materials. There are no set of specific directions for loose parts, the child is the director. Throughout the learning environment at Step Ahead you will see rocks, wood, planks, rope, cable reels, pallets, steering wheels, wheels, tyres, branches, pinecones. You will also see material, scarves, knobs, skittles, blocks, ribbon, felt, rainbows, lights etc. All of these, and so much more, are loose parts and encourage open-ended learning opportunities for the children. 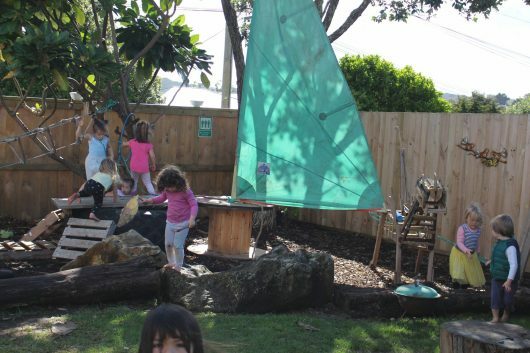 “When children interact with loose parts, they enter a world of ‘what if’ that promotes the type of thinking that leads to problem solving and theoretical reasoning. 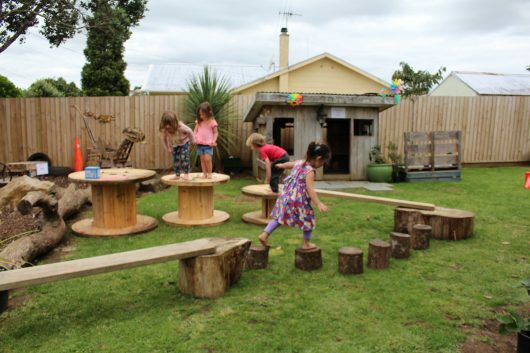 Loose parts enhance children’s ability to think imaginatively and see solutions, and they bring a sense of adventure and excitement to children’s play” (Daly and Beloglovsky, 2015). There is not a moment goes by at Step Ahead when loose parts are not being used. The recent interest in fire fighters led a to fire engine made from pallets, tyres and a steering wheel and bits of hose pipe were used for extinguishing the fires. The recent sail we were gifted set the scene for some wonderful imaginary play whereby the cable reels, large tyre and planks became a boat, which then became “Moana” which then led into a magical and moving music experience. Many of the children engage for long periods of time as they work with the beautiful muslin clothes, material, ribbon, blocks, rainbows, lights etc as they create ‘castles’, ‘lands’ and buildings. The red material is used as capes as children become super heroes and the blue material transforms a child into ‘Elsa’. One common link to loose parts is that children seldom work alone on these projects and in their play. Loose parts can create opportunities for social interaction and are often a way for children to branch out and create friendships. 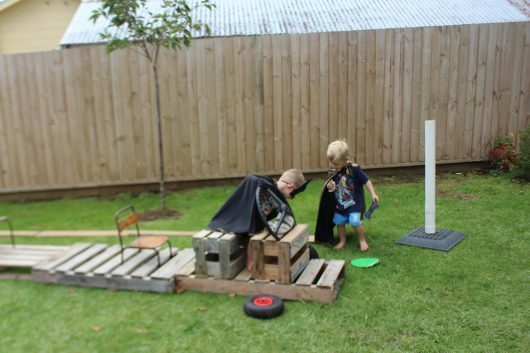 The creative and imaginary play that can come from working with loose parts open-up new learning and ways of thinking through social engagement. 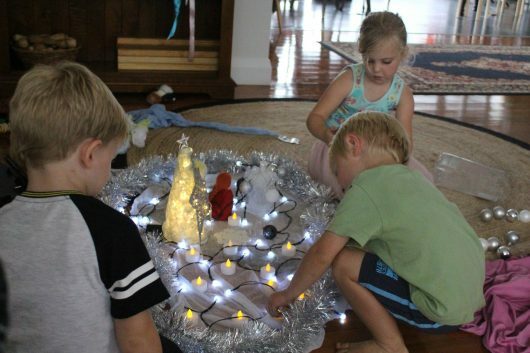 “By working and playing together in groups, children learn to appreciate not only their own ideas and ways of doing things, but also each other’s. A child can learn that others have interesting methods and ideas that are worth paying attention to and that can contribute to his or her interests as well” (Drew & Rankin, 2004). As teachers, we just love watching our children work and play in our open-ended environment and we are always on the look-out for more exciting and innovative loose parts we can bring into our learning environment.